Although the Qashqai probably wasn't the innovation that Nissan would have us believe, it's still a very interesting and capable alternative to the usual family hatch. Throughout the line up, there are pragmatic choices that buyers can make. 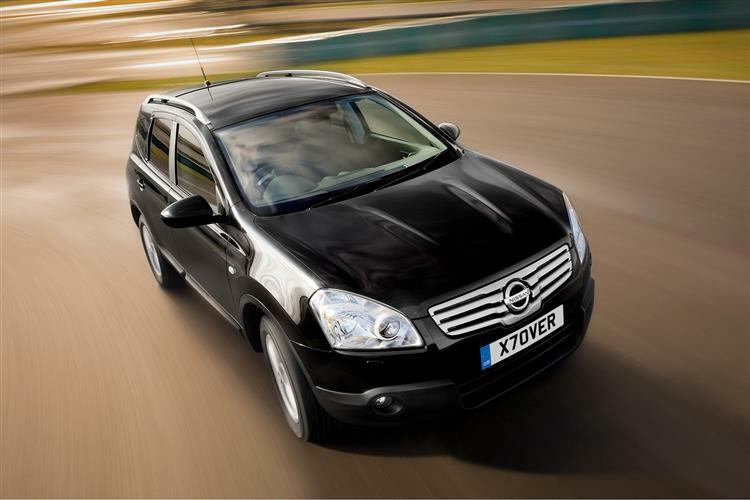 Standard or Qashqai+ long wheelbase body styles? Petrol or diesel engine? All-wheel drive or front-wheel drive? 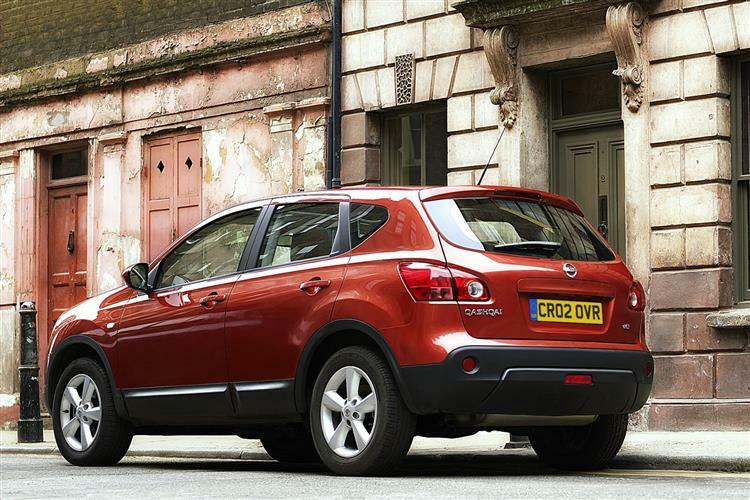 The Qashqai's flexibility means that it's as pragmatic or as adventurous as you want to make it. "There's change in the air. Thanks to the Nissan Qashqai, something different has arrived. You need never drive a boring car again." That's quite the big build up from one of Nissan's senior product planners and it's driven home with claims that the Qashqai is "a catalyst for change, a totally new vehicle in a totally new sector of the market", and a car which should be seen as an "urban nomad." There's even reference to the boldly asymmetric interior, which I took to mean a steering wheel on one side and a lack of one on the other. At this point any right-thinking person's capacity for hyperbole would overflow and it's my duty to tell it like it is. The Qashqai, in reality, is somewhere between an all-wheel drive-orientated Family Hatchback (like a Fiat Sedici or a Suzuki SX4) and a road-orientated compact 4x4 (like Toyota's RAV4 or Honda's CR-V). And, like all of the current versions of these cars, it incorporates MPV-style practicalities on board. Like many rivals of this kind, the Qashqai offers the choice of a two or a four-wheel drive platform, the front-wheel drive model being perfectly adequate for 95% of customer's requirements. In case you were wondering where the wacky name came from, it's pronounced 'kash-kai' and is named after a desert-dwelling nomadic tribe from South Western Iran. Perhaps the Qashqai was a bigger deal for Nissan than it was to the average Joe in the street as it was the first model to be styled by Nissan Design Europe in London, with engineering input from Nissan Technical Centre Europe (NTCE) in Cranfield, Bedfordshire. 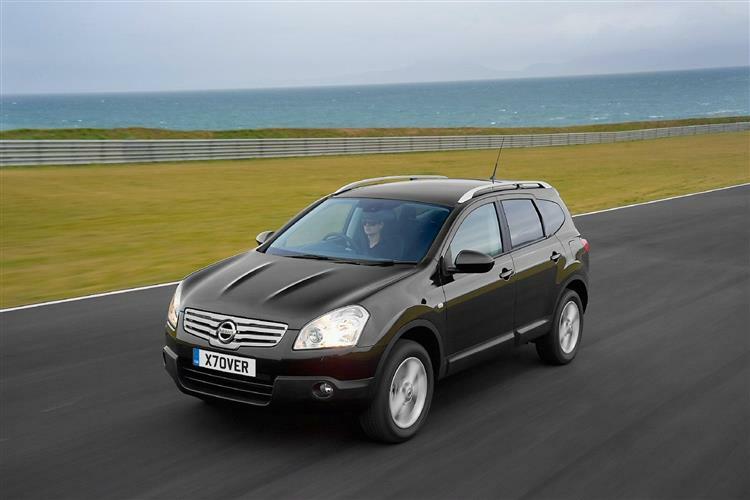 First shown at the 2006 Paris Show, the Qashqai was part of Nissan's move towards utility vehicles in varying sizes and away from the established supermini, family hatch, medium range saloon hierarchy. 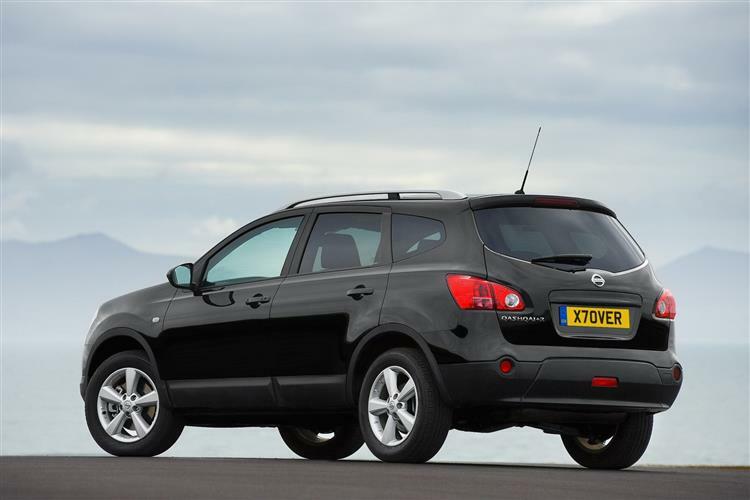 The Qashqai+2 seven-seat model hit the street in 2008 bringing more practicality to the range. 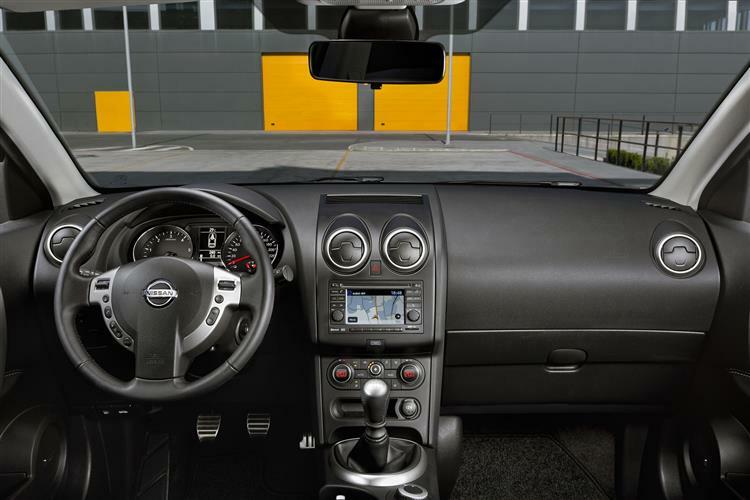 The N-Tec trim level arrived in April 2009 with the Nissan Connect satellite navigation and control system. A facelift early in 2010 brought tweaks to the suspension and improvements to the refinement of the Qashqai. The styling was altered too with a more aggressive front-end and LED lights at the rear. A Puredrive model was also introduced based in the 1.5 dCi diesel but with modifications lowering CO2 missions to 129g/km. There are two bodystyle choices, the standard model joined in the last quarter of 2008 by a Qashqai+2 seven-seater variant. Here, everything behind the windscreen pillars has been modified. The wheelbase has been extended by 135mm and the overall length has grown by 211mm to 4,526mm. To make sure that rear seat occupants don't feel too hemmed in, the roof line has been reprofiled as well, adding 38mm to the car's height. The doors have been redesigned and the side windows are now bigger, as is the rear tailgate window, making the back feel anything but claustrophobic. The middle row of seats splits 40/40/40 and the backrest reclines to no fewer than nine adjustment positions. 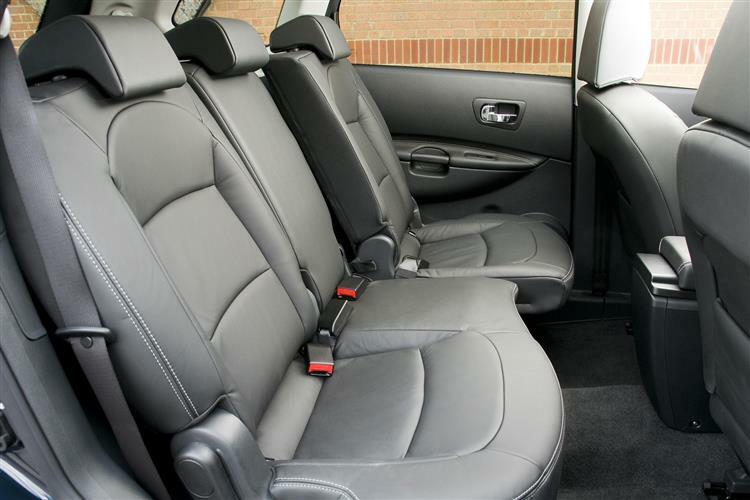 The Qashqai+2's back row of seats is designed for kids or adults up to 1.6m (5'3"), the seats fold 50/50 and can be folded away simply by pulling a strap. There's no need to go through the hassle of removing head rests first. 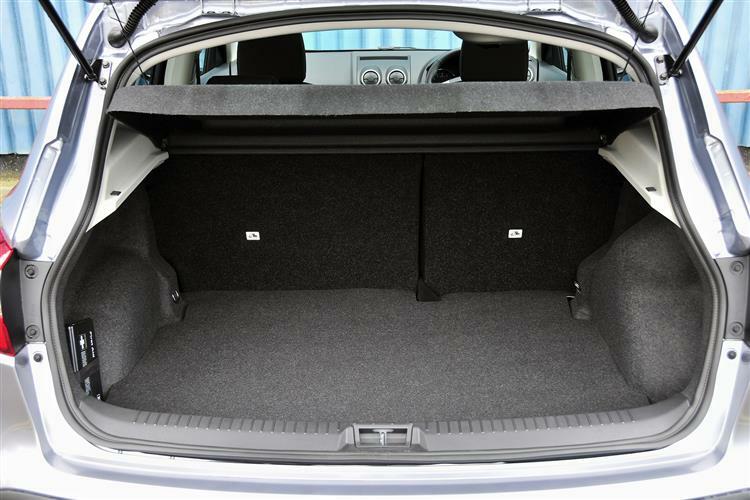 When folded down there's a massive 500 litres of stowage space, and the rear hatch is both wider and has a lower loading sill than the standard Qashqai model. There's even an underfloor stowage area to keep valuables out of sight. The sturdy lid of this stowage area also doubles as a cargo divider to prevent your eggs getting squashed by your Irn Bru. Built at Nissan Motor Manufacturing UK in Sunderland, the Qashqai is undoubtedly a good-looking design. The rising hipline gives it a wedgy, athletic look and the canted C-pillar is a design cue nicked from the bigger Murano. The Qashqai's front end is a good deal less extreme than the Murano, a vehicle that looks like an alien lander, the smaller vehicle favouring a more conventional front grille and lights arrangement. A large panoramic sunroof gives the cabin an airy feel. The dashboard is cleanly styled with a neat centre stack and uses better materials than Nissans of late. As with any compact car that bills itself as a 4x4, look for damage caused by previous keepers taking that claim a little too seriously. This means suspension and exhaust inspections and also a look at the wheel arch liners and front spoiler to check that nothing's hanging on with cable ties. The interior of the Qashqai is tough enough although the rear extremities can be tough to keep tabs on and can incur parking scrapes. All the engines are tried and tested units with the diesels being particularly robust. (Approx. values for a 2007 Qashqai Visia 4x2 1.6) A clutch assembly will be around £195 and front brake pads are around £45; it's around £40 for the rear set. An alternator should be close to £250 and a radiator around £175. The ALL-MODE 4x4 system is available on the 2.0-litre vehicles and cost an extra £1,400 when new. This is an electronic system which automatically engages four-wheel drive the moment a loss of traction is detected. It offers more safety and security in extreme weather on-road. 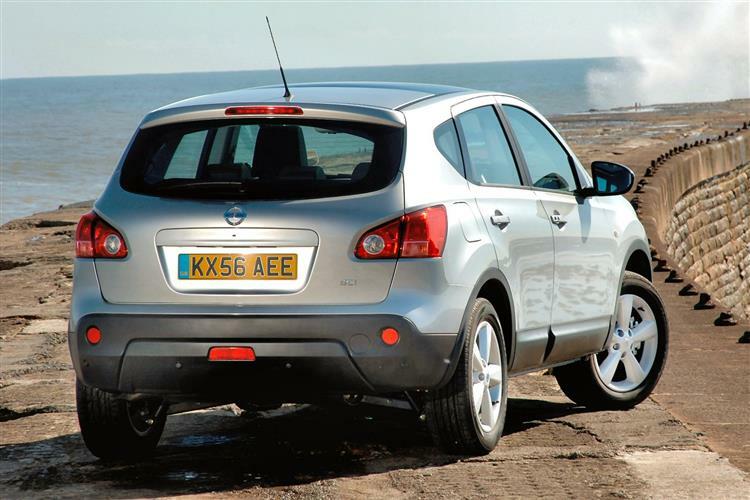 Nissan makes no bones of the fact that the Qashqai is anything but an off-roader, citing its lack of ground clearance. What precludes it from tackling rutted tracks makes it a better car on the blacktop, the hunkered down centre of gravity giving the Nissan the driving dynamics of a typical family hatch. Nissan has built an enviable reputation for safety and the Qashqai incorporates a number of noteworthy features. Accurate electrically-assisted power steering, multi-link rear suspension and beefy anti-lock brakes with brake assist and electronic brakeforce distribution should well be enough to keep you out of a prang in the first instance and there's also the additional safety net of Bosch's eighth-generation ESP stability control. The Nissan Qashqai positioned itself as the alternative to the everyday hatch but has become a bit of a victim of its own success. These days a Qashqai probably isn't the thing to have if you want to be different. If, on the other hand, you want a solidly engineered vehicle with a raised seat position but which doesn't attract the ire of militant greens, a used Qashqai has a lot to be said for it.